Before I get into the article I would first like to talk about muscle fibres, as they are a big thing to consider when targeting specific goals. Ultimately, there are 3 types of fibres, these include type 1, type 2a and type 2x. Type 1 fibres are thought of as slow twitch fibres, which means they are not very powerful; however they are quite fatigue resistant, therefore they are good for endurance. They are difficult to change into other muscle fibres, and it is difficult to change other muscle fibres into them as well. They have a lower threshold for growth then type 2 fibres. These are the fibres that would typically be used for endurance activities, such as long distance running. They are also used for low weight and high rep sets when lifting weights. Type 2a fibres are the in between, they are a fast twitch fibre, with some aerobic capacity, however, they can produce a fair amount of force because they are fast twitch. Changing type 2a fibres into type one fibres is difficult, however, they are quite adaptive (increasing capabilities and size). These are the muscle fibres that would be used when type 1 fibres are running out of steam, when you require more force or need force right away that cannot be produced by type 1 fibres. Such activities would include swimming to lifting moderately heavy weights. Type 2x fibres are fast twitch as well, they can produce a very high amount of force, with this comes a low fatigue resistance. Therefore these are not the fibres you will be using for endurance activities. They are hard to change into type one fibres, however other fibres can be changed into type 2 ones more easily. They have a high threshold for increasing size and strength. These are the fibres you would be using for activities requiring a high force output for a low duration of time, such as sprinting or lifting heavy weights. Progression is crucial for strength training, if you stay in the same spot you won’t be increasing your strength. There are a few different forms of progression, you can progress with the weight you are lifting, the volume you are lifting, or one I like to use is making an exercise harder in some form (such as a slow eccentric). Progression works by using one of these methods, and in turn, your body adapts to this progression in the form of gaining muscle or strength. We know that when training for strength we will be using heavier weights, and heavier weights require your type 2 fibres to be firing. Therefore, if we have sufficient volume and can gradually increase the weight we are moving, we can force our muscles to gain strength and size. The same principle is present when we think about increasing volume, if we can use the same amount of weight, and increase reps and or sets, we force our muscle to become bigger and stronger, in particular, our type 2 fibres. Making exercises progressively harder also follows the same principles, it forces our muscles to adapt and become stronger. This is why progression is a major driver of strength. You may be thinking, how do I implement these progression techniques? If you are just starting out, I would suggest trying to keep progressing with the weight on the bar (assuming you have a good foundation of technique and don’t allow the technique to break down with this progression). I would do this while keeping your volume similar from week to week. I say this because as a beginner it should be relatively easy to progress like this, for 2 reasons. The first one being you will have an extremely high reaction to the training stimulus, therefore you will be able to progress at a quick rate. Second of all, beginners usually under-estimate what they can do, and have lots of room for their technique to improve. This makes for some good progression. A lot of the progression will come from improving your technique, weights should progress as your technique and strength does. If you can’t progress anymore with this method, you can try increasing weight from week to week, while decreasing volume (I wouldn’t suggest this for all your lifts). The rate of which your increasing weight should be exceeding the rate of volume drop if you can do so safely. Ultimately the end goal is to end up with greater overall strength which means a higher one rep max as a means of measure. This is what my last program consisted of. From here you could look at increasing volume in a safe way to further develop. This would be working with the same weight for a period of time while increasing volume in one way or another (reps and or sets). You can also consider a combination of the two. Be careful with increasing volume too high, this can lead to recovery issues because of the high loads you are handling. As far as making exercises harder, I like to sprinkle that in throughout my training as another way for progress. I like this because I don’t fail the majority of my reps and sets using this technique, yet it is still a form of progression. It is also a good way to add variety in your training, which is important. When training for strength a large part of your primary movement training will be done using heavier weight and moving that weight for fewer reps. This is a basic principle of strength training, no matter where you look, you will see those training for strength properly using this principle. A low rep range is around 1-5 and if you are being challenged, you will end up using a weight that is heavy relative to you. The reason why strength training typically focuses on heavier weight and lower reps relates back to muscle fibres as well. You want to be targeting your type 2 muscle fibres, and this is best done by using heavier weight and moving it for fewer reps. You can use lighter weight to target your type 2 fibres, however, this would typically be done by taking these sets close to, to, or through failure. This doesn’t correlate with strength training because you won’t be using heavy loads to do this, therefore it will be tough to gain strength when your not using loads relative to your goal. Now in order for this information to be helpful for you, I need to talk about implementing this principle into your training. The way I typically like to do it and what makes the most logical sense goes as follows. I will take my primary movement for whatever training day it is (I would use the bench press as my primary movement for push day). From there I use this principle on this movement, I usually start with a heavy triple, double or single with a variation of the movement, this is then followed by some back off sets which in my last program were either a 5×5, 5×4 or 5×3. This is part of a strength training style called conjugate. I do this because the primary movement is typically a compound one, and that is the one that generally has the greatest carry over to strength. This isn’t to say you can’t train heavy like this with other movements, you should. I am saying my heaviest training for the day is generally done with my primary movement. Also, if you apply this training principle to your primary movement, this means you will be doing your heavy training at the beginning of the workout, which you want to be doing when you are the freshest. This is one of the things that I have found to be most helpful when implemented in my program. Basically, this involves taking a main or primary movement and doing exercises that are a variation of it (such as a box squat, which would be a variation of the normal squat). This is also a form of an assistance exercise, however, I typically like use movements that are a different exercise as a whole and therefore use a different movement pattern for my assistance exercises. Variations/assistance exercises are great for building up your strength in a primary lift, they also have great carry over for strength in general. The reason variations/assistance exercises are great for building up your strength is because they typically focus on different aspects that are involved in the main lift/general strength. Using exercises that might influence these specific aspects can help build them up. An example of a squat variation that I have used would be a banded squat, this involves performing a normal squat except you have bands attached to the bar. This will provide peak resistance at the top portion of the lift when it is normally easiest, and give little resistance at the bottom of the lift when it is hardest. This makes for more even tension across the whole range of motion, which is a good way to help your squat in the long run. A lunge is an example of an assistance exercise I use, this works on unilateral strength (using one side of your body at a time, in this case, one leg at a time). This can help fix strength imbalances in your legs which can have a negative effect on the squat. You may be asking yourself, how do I implement these variations/assistance exercises into my training? I tend to pair my exercise variations with my primary movement, the heaviest part of my strength training is done here. I will then do assistance exercises after my primary movement, as these typically use lower weights. I will note that if you are a beginner, using variations such as a banded squat is not necessary as you will already have an extremely high response to the training stimulus. A focus on progression with the standard lifts would be best while including different assistance exercises. You may not even want to put in the heavy triple, double or single using a variation as I stated above, for the same reasons. Accounting for volume is the most important thing when it comes to hypertrophy training, it is directly related to hypertrophy. Something I learned from Dr. Mike Israetel is your MEV (minimum effective volume) and MRV (maximum recoverable volume). This refers to the minimum amount of volume you need to actually make muscle gains and the maximum amount of volume that you can recover from. Somewhere in this range is where you want your volume to be ideally. Volume for hypertrophy works in the same way when we are talking about progression for strength. With strength progression, there is more of a focus on increasing the weight your moving. With volume, the main focus is on increasing sets and or reps with a smaller yet still important focus of increasing the weight on the bar. You can have too much volume which is what would happen if you went above your MRV. There are a few different ways you can manipulate volume. I will go over these in the next paragraph when I talk about implementing volume into your training. In order to find how much volume you should be using let’s refer back the MEV and MRV concept. You want to be training somewhere in between this, as this will allow you to be training enough in order to make muscle gains, but not so much to the point where you can’t recover. Not being able to recover can and will have a negative effect on hypertrophy. Starting on the lower end or near your MEV and progressing in volume throughout a training period to and slightly above your MRV is how DR. Mike Israetel explains using this concept. You may be asking how you find your MEV and MRV? Seeing as this is a concept of Dr. Mike Israetels, and there is a lot of information to cover, I will refer you to an article of his where he gets into detail on this concept: https://renaissanceperiodization.com/training-volume-landmarks-muscle-growth/. All in all, the amount of volume you require will be subjective to you depending on different factors. Monitoring your own progress is a great way to get an idea of the volume you require. Exercise selection is also quite an important aspect of hypertrophy as you need to be using exercises that will hit specific muscle groups. As far as training methods go I am referring to using the 3 different pathways to muscle growth. These are progressive overload (mainly contributed to by increasing weight on the bar or volume), metabolic stress (buildup of metabolites which leads to muscle growth) and eccentric damage (controlling the eccentric portion of a lift which causes micro-tears in the muscle to be recovered bigger and stronger). This is a brief description of these training methods, Jeff Cavaliere from Athlene-X has made some great videos on this, you can check one of them out here. For this section of the article, I will be focusing on exercise selection. We know you need to be picking exercises that target a specific muscle group and compiling those exercises together using some form of progression and different training techniques. This relates to exercise selection because, in order for volume to be effective, you need to be picking effective exercises. There are also certain exercises that are better used for different training methods, for example, an isolation exercise would be better for the metabolic stress technique. In addition to exercise selection, picking exercises that influence specific muscles within the main muscle group will be able to help target weak points. Also worth noting, if you were doing exercises to influence a specific part of a muscle group, you wouldn’t program weekly sets for that specific muscle within the main group because you are still working your entire muscle as a whole. Doing this would likely result in too high of volume. Once you have determined the exercises you want to be using it is time to determine how you will use them. I would start with figuring out how you are going to implement some kind of progressive overload, whether it is in the form of increased weight or volume from your starting point. From there you may want to add in the training methods of metabolic stress and eccentric damage in certain areas. This is a rough idea of how you can start to train for the goal of hypertrophy, and a way that I use myself. This is a major part of hypertrophy, if you aren’t resting and recovering properly, you can’t expect to see results. Improper recovering can lead to signs of overtraining which includes things like plateaus (in strength or size), longer lasting soreness, feeling yourself starting to wear out, etc. The list goes on and on. So we know why recovery is important, but how does it actually work? When you train, a lot of the time you cause micro-tears in your muscles which means you are breaking them down. When you recover you rebuild these micro tears, and your muscles become bigger and stronger. So if your training too much and or aren’t recovering properly, the rate of muscle breakdown will exceed to rate of muscle repair. This means it will be difficult to build muscle if any at all. When you are recovering properly you are repairing the muscle and allowing it to grow. So how do you know how much you should be recovering? A general rule of thumb is to be training a muscle no more than every 48 hours. This is for 2 reasons, number one being this is typically enough time for the muscles you have trained to repair. Secondly, after 48 hours is roughly when muscle protein synthesis reaches back to baseline from its peak. Therefore you are effectively using the increase/peaking and decrease/returning to a baseline of muscle protein synthesis. Everyone is different and will recover differently from various training factors. As I said, this is a general guideline. If you feel a muscle is recovered in less then 48 hours, maybe you can do some training with it. If you feel like it’s not, maybe you need an extra day. There is no set amount of perfect recovery time. You need to be monitoring your progress and how you feel with the different muscle groups and volumes you are training. This will give you a more specific idea as to how much you should be training. This is a very important part of power as it will help with injury prevention (crucial for sports and training). It’s also good for increasing performance so you can get the most out of your training, it can also help reinforce proper movement patterns which is great for coordination and control. All of this put together has great benefits when it comes to overall performance. Having proper technique helps with injury prevention because you are focussing on controlling your body and possibly slowing the movement down (on the eccentric for the goal of power). This will help keep your body tight and moving in the right movement pattern. It also helps with increased performance for a similar reason. If you can keep your body tight, in control and use proper movement patterns, you will be well on your way to performing optimally. Lastly, as we know proper technique helps with control which is great for helping coordination. Since coordination and control are crucial for sports as well as training, moving with proper movement patterns is very important. As far as implementing the use of proper technique into your training goes, I would focus on 3 things. The first is to control the eccentric portion of the movement. I’m not saying to take 5 seconds, just enough time for you to be able to control the eccentric. This will allow you to once again have a proper movement pattern which will set you up for proper technique for the rest of the lift. The second tip I would suggest is to “command the lift” throughout the duration of it. 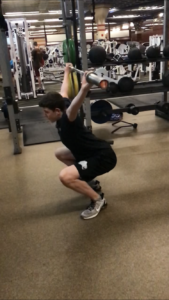 This means to focus on controlling the lift and staying tight throughout its entire range of movement. This will help with keeping proper technique consistently. My third tip would be to not worry so much about the weight, but rather pick a weight that allows you to move it in a way relative to power (more to come on this). This will allow for proper technique and efficient training. This means you are picking a weight you can control on the eccentric and move with speed on the concentric. Again, you want to be commanding the weight. This is how you work on your power training, your focusing on producing force quickly. When we think of power we generally think of moving something forcefully. This is why we pick a light-moderately heavyweight, it allows us to move with speed throughout the entire range of movement. Even though we are using a lighter weight, we are still trying to recruit the most motor units as possible. Because of this, we will be using our type 2 muscle fibres to a large degree. This will have good carry over to a game like situation where you need to produce a large amount of force in a quick manner. Or when talking about strength training we are working on producing force so it will help us when we are handling heavy loads. When it comes to training for power, there are a few guidelines you want to consider when thinking about implementing this. The first being, using light-moderate loads (around 50%) of your 1 rep max and focusing on moving these quickly. The second is using lower reps, this will help to reduce fatigue which is something we don’t want when we are training for power. We want to be fresh and ready to go so we can produce maximal force from set to set. The third thing to consider is rest, you want to be resting enough between sets so you can replicate the same amount of force you produced in your previous sets. Another tip I have is to make sure you are incorporating different exercises while applying the principles listed above. For example, you may want to include some form of a squat, then transition into something using your bodyweight, this will allow you to move very quickly. Consider incorporating a band resisted exercise so you are training while moving against a consistent force. I got this example from a Jeff Nippard video done with John Meadows “The Mountain Dog.” You can check that out here. Like anything we are training for, having a form of progression is crucial. However, when it comes to power training, I would consider this to be less of a concern. This because we are focusing on producing maximal force, and I wouldn’t say a standard form of progression such as increasing volume is the way to go. Especially because we are trying to limit fatigue. Some better forms of progression may include improving your technique, focusing more and more on producing force, or incorporating variations of exercises. These together will help to increase your power in a way that is more relative and effective to the overall goal. It is quite simple as to how these things work. If you improve your technique, you will improve your movement pattern. This will ultimately allow for more coordination and commandment of the movement resulting in more force produced. If you focus more and more on producing force, you will get better at doing just that, especially if you are using other variations of progression. Varying up how you do exercises or your exercise selection is also a great way of improving power. If you can do an extra rep or 2 at the same technique and speed after a few weeks of power training, that will help with your force production without drastically increasing volume. Lastly, if you train different exercises they will all focus on different movement patterns and muscles used as well different forms of resistance. This can also come together to improve your power. These are ways to implement power training into your workout routine. To summarize, make sure you are using proper technique and commanding your movements. Focus on using lighter weight and moving them with great force. Try not to become overly fatigued to the point where it will negatively affect your sets to come. Lastly, try to incorporate some form of progression, consider using some of the techniques I have listed above. All of this put together will make for some great increases in power! I would like to note that individual training needs vary from person to person overall. This information is not a clear cut and dry scenario. For personalized individual needs speaking with a professional that can work with you based on your goals is what I would suggest. Thank you very much for taking the time to read this article, I hope this information was of help to you! As always, if you have any questions or comments, please don’t hesitate to leave them below! Lost of great information Kohl. Thank you. I think knowing what your goal is, particularly the kind of physical appearance and ability you want is critical before choosing one of the approaches you cover. I like the fact that you also suggest speaking to a professional since I think sometimes we may have an idea of what we ideally would like our goal to be but it could be totally unrealistic. Let’s face it, not everybody has the genetics, discipline or even physical frame to support what they imagine they can achieve. I’m not saying it’s impossible to achieve but if you have certain barriers that you are blind to then you need someone who can either support you through the process or give you the truth if it’s never going to happen. What do you think? Hi Mark! Knowing your goal is very important to get the most out of your training! Speaking with a proffesional that can work 1 on 1 with you can be really beneficial if you find a good one! Not everyone has the genetics, I believe everyone can have the discipline though. You are definitely correct in saying some things may be tough, however, I feel any realistic goal is achievable! 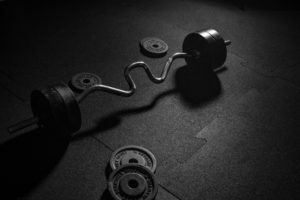 This post provides a good explanation of basic concepts, such as muscle fiber types and the need for rest and recovery, which are crucial to achieving training goals. I’m just resuming an exercise plan after several years of not really doing any specific training. I was thinking I would start with strength training, but now I believe that a combination of strength and power training would be a better idea. Would you agree? That wouldn’t be a bad idea as both are important and intertwine with each other. If you have a sports background your power may not be as much as a priority. If your strength is their but you don’t have the best power you may want to prioritize that. Hypertrophy training can also be a consideration if you don’t have a whole lot of muscle mass. Gaining muscle helps with strength, just make sure you are working power into that so you can use it explosively. Hope that helps! Thanks for the article on Training for Goals. I was especially interested in the Rest and Recovery portion because I’ve wanted to know for a while, what makes muscles ache when you train, and how to address soreness and get the benefit from physical training at the same time. Given that we all we all recover differently; I intend to monitor the time I takes me to get the right amount of rest after training. I enjoyed the article overall, and plan to refer to it regularly. Hi Hugo, I am very glad you found the article helpful! I think your plans will do great for your training and results!